The Mongolian Ministry of Roads and Transport has granted Australian coal miner Guildford Coal Limited a haulage permit for the transport of coal from its Baruun Noyon Uul (BNU) Mine in the South Gobi Region of Mongolia. Guildford Coal Group Managing Director Mr Peter Kane said the permit from the Ministry marked a significant milestone for the company’s wholly owned Mongolian subsidiary, Terra Energy. “Negotiations for the approval have extended over 6 months, so we are delighted with the news. 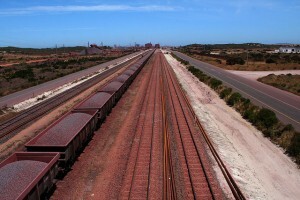 The mine is now fully commissioned and the transport of coal to China can commence,” Mr Kane said. Mr Kane expressed his gratitude to the Mongolian Ministry of Roads and Transport for their efforts in facilitating the approval process, saying the BNU Mine had generated widespread interest from potential customers and investors. “We will shortly begin the process of exporting a trial shipment of approximately 10,000 tonnes to northern China. This trial shipment is designed to confirm the down-stream logistics and processing performance,” he said. The last six month saw significant development work being undertaken on the project, boosting the company’s confidence that the transport can be undertaken in a way that is sensitive to the needs of the local communities in the area and protects the environment. “Guildford Coal looks forward to being able to capitalise on the mine development work undertaken to date as we establish the BNU product in the market,” Mr Kane concluded.